Quantason, LLC. – Inventing the Future of Ultrasound | Necessity Drives Innovation…Transforming Breast Care! The past six decades have demonstrated enormous advancements in many areas of science and technology filled with innovations and futuristic ideas. Yet, almost nothing significantly has changed in breast care, causing billions of women in the USA and around the world still remaining underserved and faced with erroneous policies and practices complimented by unreliable technologies invented decades earlier for other medical or industrial applications. The inadequate and ambiguous policies and practices have led to uncertainties and conflicting approaches amongst breast radiologists and surgeons on the one hand, and confusion, distrust and dismay amongst patients on the other. Breast cancer has become the number one cause of cancer-related mortality among women worldwide. 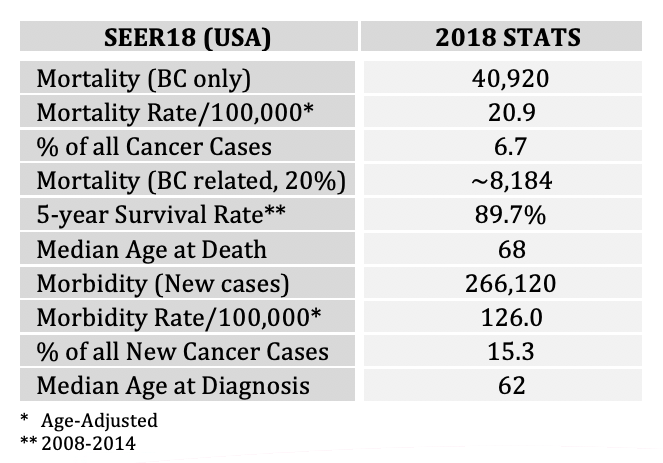 The US has been leading numerous and on-going efforts which are primarily focused on the early detection of a malignant tumor and its treatment. The current debates, policies and practices have largely precluded any serious initiative/s in rethinking and reshaping the breast clinical care cycle into a more effective path focusing not only on the early detection of a malignant tumor and its costly treatment but also on proactive screening for prevention. The outcome of the current policies and practices affect the women – and to certain extent – the men populations, alike. One in every seven women will be affected by breast cancer. According to the SEER2018, some 50,000 women die every year in the U.S. from breast cancer. More than 266,000 new cases are diagnosed every year in the U.S. where the worldwide statistics are as much as ten-fold larger. 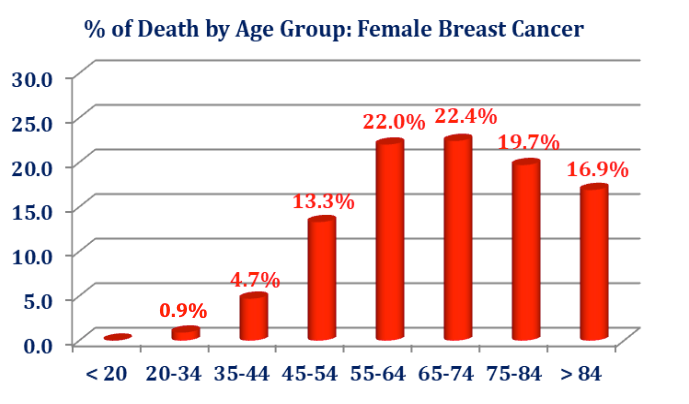 In comparison, for example, in Japan breast cancer is the most common cause of death in women 25-64 years of age. There are approximately 33 million Japanese women 25-64 years of age. In 2016, breast cancer was prevalent in 1 out of every 11 Japanese women with the reported mortality rate of 14,015 women. 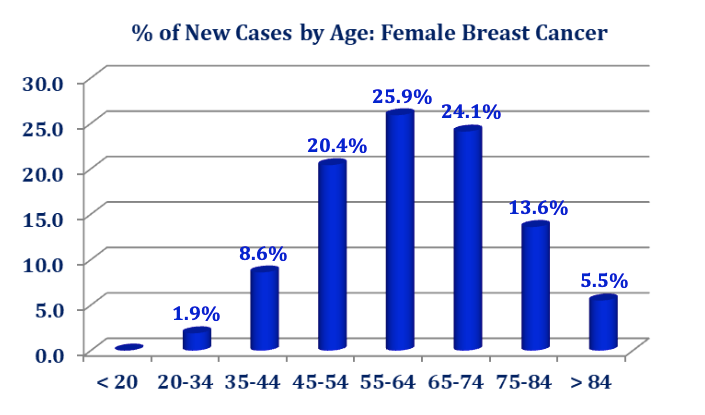 Diagnosis of new breast cancer cases in Japan is on the rise at alarming pace mainly due to the breast density factor (prevalent in about 90% of Japanese women) and the fact that only 3% (!!) of Japanese women receive screening due to inadequate sensitivity of mammograms and conventional ultrasound. Similar situation exist in other Asia Pacific countries as well. Combating breast cancer and reducing the related morbidity and mortality is one of the priorities of the Japanese government. 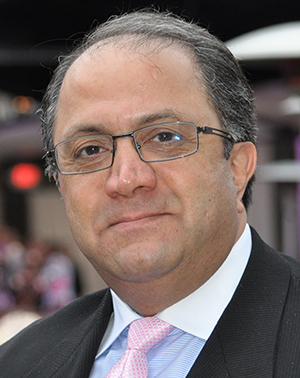 A similar trend in newly diagnosed breast cancer has been reported in the Arab world. For example, recent reports have indicated that about 23% of Kuwaiti women have diagnosed breast cancer. It is inconceivable that after more than six decades of clinical research, technology developments and hundreds of millions of Dollars of investments and grants, the American society is still coping with nearly 50,000 women deaths (i.e., wives, mothers, daughters, sisters, relatives, friends, etc.) every single year and more than 266,000 lives/year that are affected by the newly diagnosed disease. Breast cancer does not distinguish between political ideologies, skin colors, nationalities or origins, socio-economical standings, borders, languages, etc. It is the disease of the life-style that affects (financially, economically and socially) every fabric of the American society and every country worldwide. Among the three modalities currently used in breast imaging; i.e., x-ray mammography, conventional ultrasound and MRI, only mammography and ultrasound have largely remained in common use. The number of breast MRI exams throughout the country has dropped drastically, primarily due to the side- effects of the Gadolinium agent and secondary, due to lack of availability and reimbursement policies. The scrutiny around the cancer-missing-rates, patient discomfort/compliance and inadequate sensitivity of mammography and its 3D version (tomosynthesis) is no longer a secret. Additionally, the exposure to ionizing x-ray-radiation, and the breast density factor have hindered adequate breast screening. It is acknowledged that mammography's sensitivity diminishes in proportion to breast fibroglandular density, and that when women's breasts are heterogeneously dense (ACR BI-RADS density 3) or extremely dense (BI-RADS category 4), that masses may be less or inconspicuous. The reason for this is a contrast limitation of a white mass situated within white fibroglandular tissue. When the background tissue is dark gray, it is easy to perceive a lighter colored mass and to analyze its shape and margins. More than 100 years after the first administration of mammography in 1913, the debate is still on- going and hinges primarily on the saying that, “...mammography is what we have available...despite its shortcomings and radiation”. Yet, breast radiologists and surgeons are constantly seeking elevated diagnostic confidence by resorting to the conventional ultrasound and interventional biopsy. Unfortunately, 80-85% of the biopsies after administering mammography and ultrasound have proven unnecessary, especially in dense breasts. An indication for ultrasound is confirmation and characterization of a palpable or suspected mammographic abnormality. There is little controversy regarding this recommendation, and it is and has been for many years listed among the indications for breast ultrasound (ACR, Reston, VA). In the most recently approved version of the Guideline for the Performance of the Breast Ultrasound Examination (May, 2011), screening of high risk women and extent of disease evaluations in newly diagnosed or suspected breast cancer patients has been moved from "an area of research" to an indication. Conventional ultrasound has its own limitations in breast care due to inadequate sensitivity, specificity and imaging resolution. However, in a widely publicized 2016 peer-reviewed article1, it has been reported that out of 3231 negative mammograms (missed cancers), combination of conventional ultrasound and tomosynthesis found 24 more cancers (11 by ultrasound (3.3/1000), 1 by tomosynthesis (0.3/1000) and 12 in both). The inadequacy of digital mammography and conventional ultrasound seems to have been well established, yielding failure in reducing the mortality and morbidity rates. 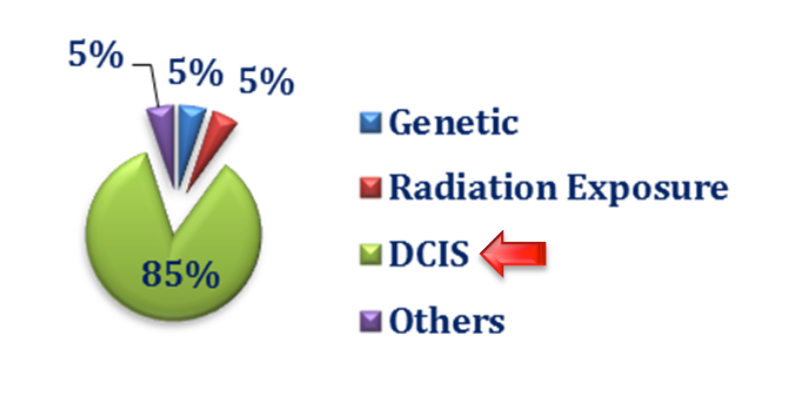 There are on-going debates and uncertainties about ductal carcinoma in‐situ (DCIS) and its impact on breast cancer epidemiology. Regardless of the conflicting approaches and opinions about DCIS, among the four categories of breast cancer, there is a definable progressive ductal phenomenon which starts from a normal duct, through hyperplasia, atypia and DCIS before the onset of micro-invasion and on to invasive carcinoma. Note, atypical ductal hyperplasia, radial scars, papillary lesions and lobular carcinoma in‐situ (LCIS) are considered high risk while most DCIS is considered cancer; not all progress to carcinoma. No examination is perfect, and mammography's limitations for depicting masses in dense breast tissue are known. In the last several years, breast density itself has been established as a risk factor, leading to the Breast Density Notification Law been passed by 31 states and legislated by 5 more states. 14 states have not taken any stand on the issue. The Notification text seems to have been drafted by legislators instead of radiologists. It lacks clarity as to the remedy, nonetheless! It hints, however, to the supplementation of mammography with additional studies that might find cancers occult on mammography. Most sensitive of these imaging examinations is contrast-enhanced breast MRI, costly and requiring intravenous contrast Gadolinium agent. Note, MRI is recommended by the American Cancer Society and other organizations for the highest risk women, those with genetic abnormalities such as BR-CA 1 or 2 or prior treatment with radiation for mediastinal lymphoma. Screening MRI in addition to screening mammography is being reimbursed for these patients. For women of intermediate risk, availability and reimbursement for MRI has been problematic, and attention has turned to ultrasound, of far less cost, with no ionizing radiation and without need for contrast material. It is not the U.S. Food and Drug Administration (FDA) that specifies policies but rather approves or qualifies use of equipment and devices for efficacy and safety in exams and procedures. Recommendations for screening come from various organization and advisory agencies. The current recommendation for breast cancer mammography screening to start at 40 and annually thereafter was voiced by the USPSTF (United States Preventive Services Task Force) in 2002. These guidelines were upheld by the Department of Health and Human Services over the more recent USPSTF (2009) recommendations to begin screening for average risk women at 45 or 50 with screening mammography to continue biennially. To date, the USPSTF’s recommendations have largely remained controversial and not full adopted by the medical community due to the removing coverage to some 17 million American women between 40 and 49, which in return would be at higher risk to develop breast cancer. In a long overdue move in October 2018, the FDA submitted a proposed rule to the U.S. Office of Management and Budget to amend its mammography regulations. According to the agency, “the amendments would update the regulations originally established under the Mammography Quality Standards Act (MQSA) of 1992. The new rule would recognize new breast imaging technologies, improve facility processes, and update reporting requirements”. The move may open doors to the approval of new breast care initiatives and technology synergies not only for better diagnosis and treatment, but also for proactive early screening for cancer prevention, where breast density, radiation hazard, discomfort and poor sensitivity are no longer limiting factors. 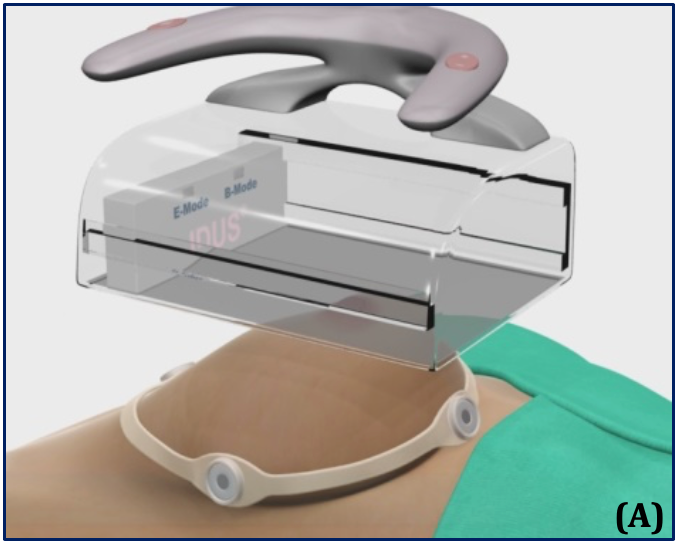 Much innovative design has focused on creation of automated scanners, both the prone and supine varieties, systems which depict the entire breast rather than the small windows into tissue that current high resolution handheld ultrasound provides. In the United States, different practice patterns are evolving compared with common practice in Europe and Asia, where breast ultrasound is ordinarily performed by physicians, who are detecting, characterizing, and assessing in real time. In the U.S., volume demands make comprehensive breast sonography by the breast imager a task that cannot be satisfactorily completed, and sonographers are doing much of the basic scanning. Automation would help in that a 3-D volumetric image acquisition done by a sonographer or nurse is accomplished within ten to fifteen minutes, and the interpretation made on the workstation. Why can't ultrasound substitute for mammography rather than supplement it? Ultrasound's main contribution is finding masses, ordinarily invasive if these masses are malignant (ACRIN 6666 first year results, Berg, et al, JAMA, May 2008). Microcalcifications and the other important sign of breast cancer, may be visible and identifiable on ultrasound, but it is difficult to track the patterns, which on mammography, even within dense tissue, may suggest ductal carcinoma in situ (DCIS). It is an established clinical fact that certain types of grouped/clustered microcalcifications in the breast are directly associated with malignancy at the risk profile of above 95%. 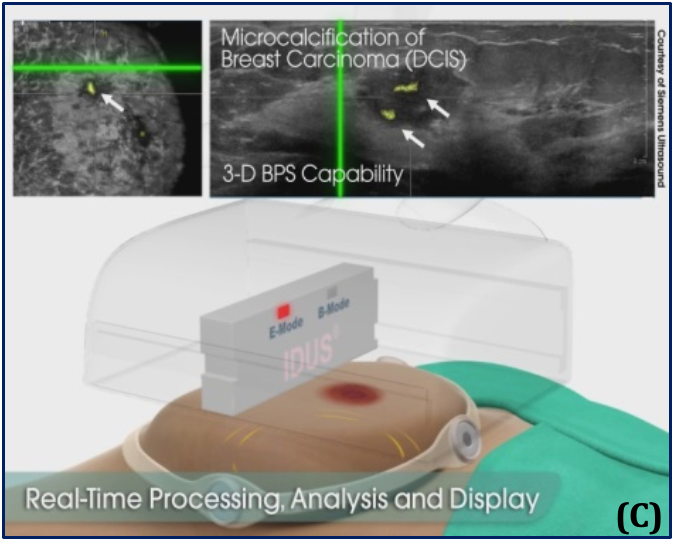 (I) reduces interval cancer rate by allowing for precision and binary (I/O) detection of the earliest manifestation of DCIS, when the disease is in an entirely different clinical entity than cancer, its follow-up monitoring and preemptive excision of the high-risk premalignant lesions by biopsy intervention before occurrence of micro-invasion and growth of a cancerous tumor. (A) – Supine position and the automated, hands-free large-footprint scanner. (B) – Mode I, Pulse-echo B-mode and coronal view, allowing for 3D images of the breast. (C) – Mode II, real-time stimulation and spectroscopy of the received response frequency for binary detection. Economically and logistically suited for hospitals, imaging centers, woman’s health clinics, mobile units and private MD offices. IDUSTM uses multidisciplinary technical and clinical knowledge to address the underserved and unmet problems in breast care which affect billions of women worldwide. We are challenging the seven-decade-old “standard of care” and changing the norms by offering a disruptive, radiation-free and cost-effective modality for the initial targeted populations of women with dense breasts! This work should be completed on the fast track. Women have understood the need for supplemental screening and advocacy groups have bombarded state legislatures, most recently Texas, with demands for access to supplemental screening with ultrasound or stereotactic biopsies. IDUSTM, undoubtedly, provides a superior, ionizing-radiation-free, cost-effective, age-limitation-free, reimbursable, cancer preventing screening, which will be available to women of all age groups and specifically to those with dense breasts. Quantason is uniquely positioned to introduce this groundbreaking modality, elevate the public awareness and perception, and lead the breast screening market. IDUSTM is protected by fourteen issued and pending patents. With a global breast care market exceeding $100 billion, IDUSTM has real and significant potential with substantially growing, scalable, expanding and unmet markets beyond breast care. Its healthcare economics is significant; its benefits to the providers, payers and patients are substantial; and its social impact is priceless. 1. 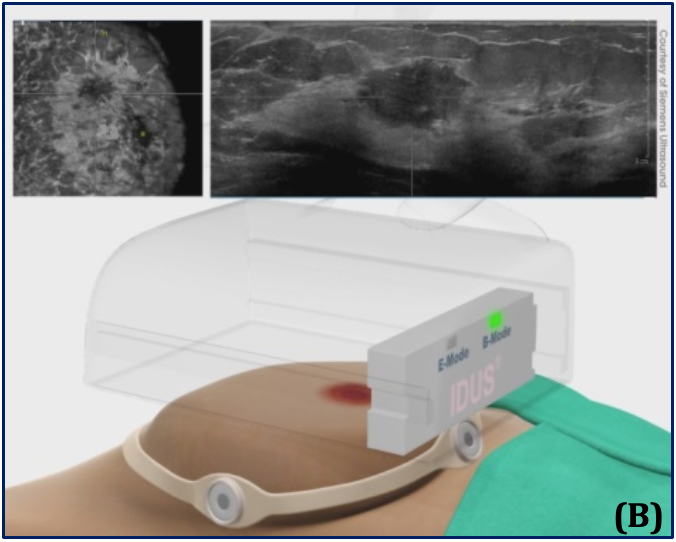 Adjunct Screening with Tomosynthesis or Ultrasound in Women with Mammography –Negative Dense Breasts: Interim Report of a Prospective Comparative Trial; Tagliafico et al., Journal of Clinical Oncology 2016 34:16, 1882-1888.